2. Select the Subscription Type(s) applicable to the member, and then click Next. 3. 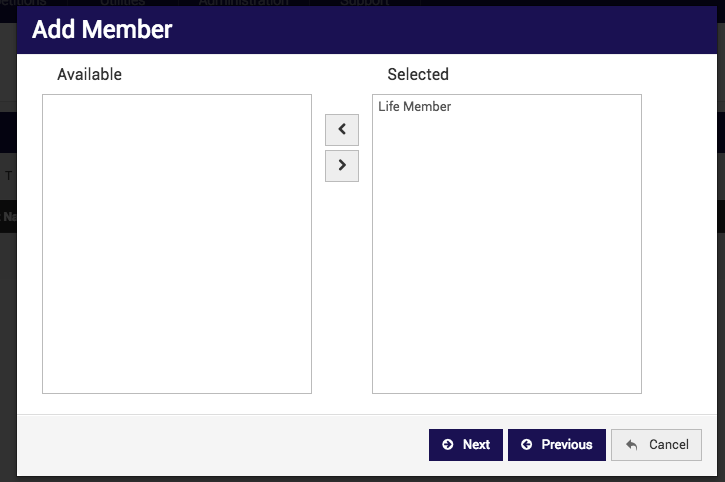 Select the Member Type(s) applicable to this member, and then click Next. Note, all fields marked with a red asterisk are required fields and must be completed to add the member to your database.